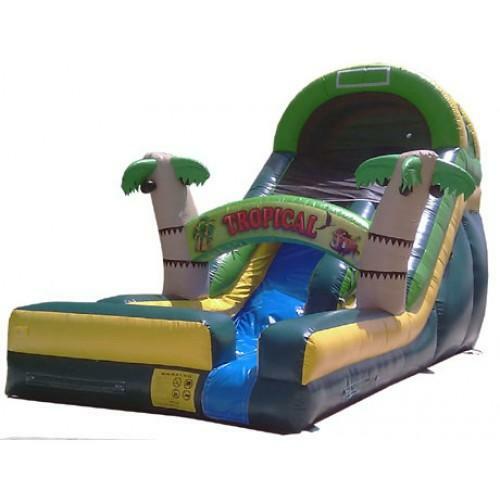 This beautifully styled slide is just right for your Tropical theme party or Luau. Sets up in a small enough area to fit in most backyards but perfect for larger events like Graduation parties, school water days or Frat parties too! Suitable for younger kids but great for teens through adults. Can be used wet as a water slide or dry year round. 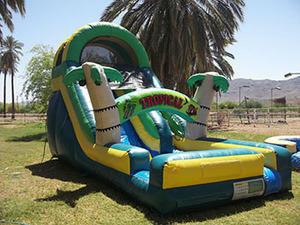 Kids slide into a splash pool or landing pad. *When you purchase supplies from us.